I don’t play too many free-to-play games these days, mostly because I don’t want to be constantly reminded while playing that buying my way ahead is an option. I just want to play a game and leave my wallet behind. Occasionally something just looks so good, though, that I have to try it. 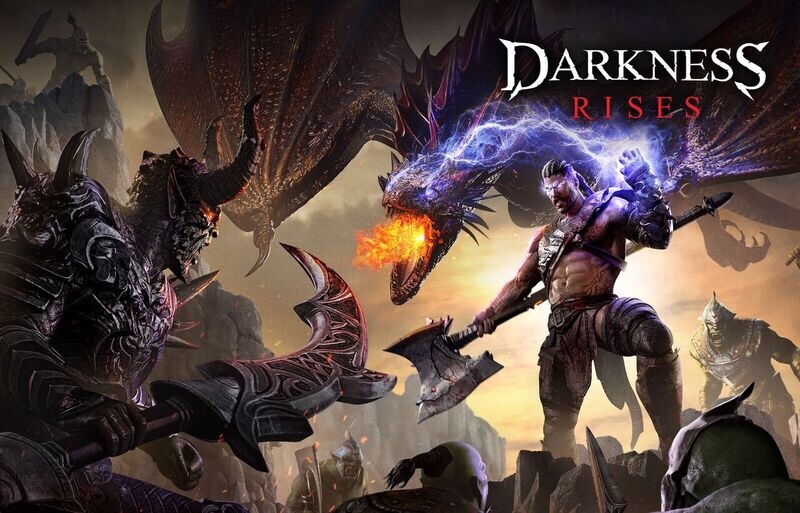 The latest such game is Nexon Mobile’s action RPG, Darkness Rises. I was tempted by both the gorgeous “console-quality” graphics and the promise of riding a fire-breathing dragon. And it delivered on both accounts, within the first half hour. I’ve already spent a few hours with the game and I’m surprised how generous it’s been with the currency. I’m not sure why anyone would spend money at the rate it showers me with coins, gems and loot. That said, I’ve been sticking to the story and the single-player campaign. I only played one match against another player and lost. Perhaps that’s where all the IAPs come in, as you may need to buy an edge against your opponents. I’m not worried about that right now, and may just stop playing once I get through the story. For now, I’m just having fun hacking and slashing at these enemies with impressive animations and creature designs. While the pop-ups for daily deals can be a tad annoying, I think it’s a small price to pay for playing a game of this quality for free. I’m glad there are no timers or energy limits, at least not that I’ve noticed. Only the gold dungeon is limited, which makes sense. Bottom line is, this seems to be one of those instances where a free-to-play game is actually worth playing. So give it a try and download it here. You can also watch my videos below, which I’ll be adding to as I progress. – In order to progress with the story, you need to make your way through the Player VS Environment (PVE) campaign. Each time you hit a milestone, another chapter will unlock. – The single player campaign is fairly easy if you just make sure to upgrade your skills and stats as you level up and earn the ingredients necessary. – Keep an eye out for red dots in the menus. They alert you to new gear, completed missions, skills that can be upgraded, and so much more. Make sure you collect everything you can! – Accept missions for extra gold, gems, experience and loot. – Check in every day for bonuses. – Make sure to enhance your better equipment using your older equipment to make it stronger. – If you start a game with more than one character slot, you get a stat bonus. – The game is incredibly generous with currencies and items of you just pay attention and collect everything. But you may need to spend money to compete with other players. Help – I can’t figure out how to access the next campaign (Mott Island?) now that I have completed Easter Losteria! There was a tutorial video but I didnt pay attention thinking it would be simple… sigh. Anyone? I know this was written quite some time ago but I have only been playing the game for a little while. I have not paid a dime for the game but by doing the PVE I have leveled up enough to where all my characters are at level 70. My assassin character just reached silver in PVP. I still get killed by those with fancy armor but I win at times too.